5086 aluminum sheet belongs to 5000 series alloy and is one of the key products of 5000 series aluminum plate. The main alloying elements of 5086 aluminum alloy are magnesium and silicon. The products have high corrosion resistance, good weld-ability and medium strength. 5086 aluminum can be used in the manufacture of sheet metal, metallurgy, and electrical enclosures for transportation vehicles and ships. Compared with other aluminum products, the anti-corrosion property of 5086 aluminum is an important reason for its wide application. Therefore, 5086 aluminum sheet plate has also become “rust-proof aluminum plate”. Aluminum-magnesium alloys and aluminum-manganese alloys are collectively referred to as rust-proof aluminum because the alloy components in between have their anti-corrosion properties. 5086 aluminum plate sheet is one of the hot products that has gradually emerged with the marine economy and plays an important role in the international marine market. Haomei Aluminum 5083 and 5086 aluminum sheet were certified by DNV GL and obtained relevant certificates issued by the Norwegian classification society. As we all know, DNV certification is a universal license for the international aluminum market. 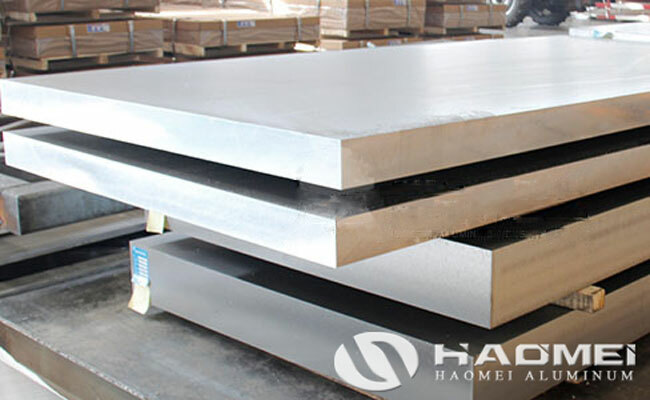 Typical uses of 5086 aluminum sheet plate is where high corrosion resistance, good weld-ability and moderate strength are required, such as weldable parts for ships, automobiles, aircraft panels. And pressure vessels, refrigeration equipment, television towers that require strict fire protection, mounting equipment, transportation equipment, missile parts, armor, etc.